Teach your child about cute baby animals with this hands-on My Little Carry Book. 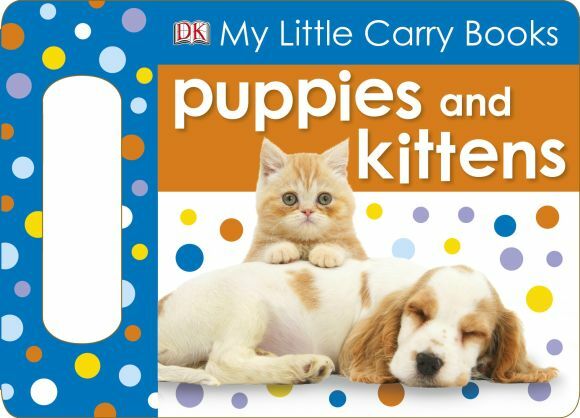 With lots of fun-filled pictures, your toddler will love learning about adorable animals with this My Little Carry Book Puppies and Kittens. Turn the pages with your child and watch as they develop language and reading skills. Every bright page introduces a new favourite - from playful puppy to peekaboo kitten playing hide-and-seek - with engaging rhyming words to read aloud. Your child will love the bright spotty handle that they can carry and pretend they have a bag, just like you! A great series that your child can pick up and carry around, wherever they go.